NBV Tenant wins Green Award for third year running! 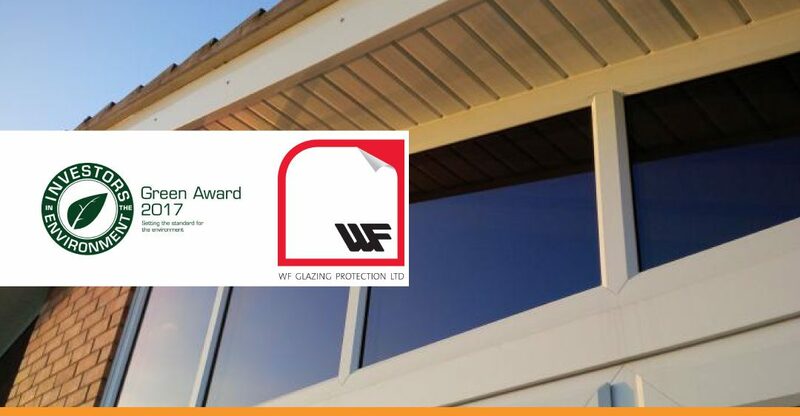 NBV Virtual Tenant WF Glazing Protection have won the Investors in the Environment Green Award for the third consecutive year for their commitment to reducing their carbon footprint and for continuous ongoing improvements. The Awarding Body: Who are iiE? Investors in the Environment (iiE) is a nationwide environmental accreditation scheme designed to help businesses save money and positively impact the environment by improving their energy efficiency and reducing their carbon footprint. They provide all of the necessary help, support, promotion and networking needed to make your business greener whilst ensuring that you receive recognition for your initiatives. The iiE accreditation scheme has been created to help offer proof that a business has implemented an effective environmental policy and management plan with the goal of reducing their carbon footprint. The step-by-step approach within each accreditation level allows businesses to set achievable targets and establish a pathway of continual improvement. To help recognise and reward businesses for their efforts towards becoming more environmentally friendly, the iiE have created 3 different awards: • Green • Silver • Bronze The ‘Green Award’ is the highest achievable level within the iiE and we are absolutely delighted to have achieved this standard for the third consecutive year. As part of our process we have worked with the Woodland Trust to create 250m2 of new native woodland. In time this will absorb at least 10 tonnes of carbon dioxide, helping with our strategy to mitigate our business carbon footprint. As part of the accreditation process, the iiE require you to demonstrate an energy efficiency increase of 2% (minimum) over an agreed baseline. How Did WF Glazing achieve this? WF Glazing work tirelessly towards their green credentials with activities ranging from implementing a sustainable procurement policy to eco-driver training and travel planning. Everything that was implemented led to an overall reduction of their core footprint of 13.51%. After significant work, they were delighted when they were informed that they had reached the required level and had mitigated their remaining carbon footprint for the last financial year with the Woodland Trust. Becoming a member of Investors in the Environment has provided WF Glazing with a great framework for making environmental improvements, leading to cost savings, as well as offering a great platform for networking and sharing knowledge. Dave Faulconbridge and Brian Wong, Directors of WF Glazing Protection, gained 16 years combined window film and graphics expertise working for the 3M Company – one of the world’s leading manufacturers. Based in Nottingham and Milton Keynes WF Glazing’s window film services provide solutions for solar control, heat, IR and glare reduction, insulation, UV rejection, fade protection, one-way vision, mirror and frosted privacy, glass manifestation, window graphics, safety, security, anti-graffiti and energy cost reduction.